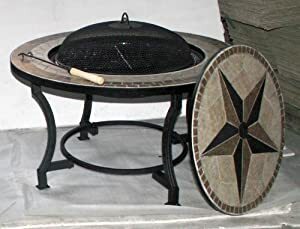 Garden incinerators & Fire Pits are proud to present the famous Firepit Bbq And Coffee Table 3 In 1 3076cm Diameterwith Cover And Accessories. With so many on offer recently, it is wise to have a name you can recognise. The Firepit Bbq And Coffee Table 3 In 1 3076cm Diameterwith Cover And Accessories is certainly that and will be a excellent buy. 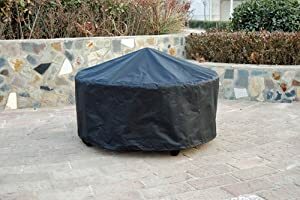 For this great price, the Firepit Bbq And Coffee Table 3 In 1 3076cm Diameterwith Cover And Accessories is widely respected and is always a popular choice with many people. Beaudelaire have provided some excellent touches and this results in great value for money. 3 in 1 Firepit, BBQ and coffee table This is an amusing product that could bring you happiness through the whole year. It is made of steel fire bowl and mosaic on top. 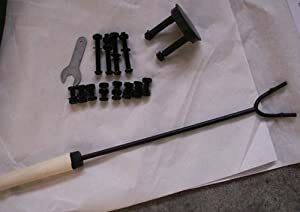 It comes with all the accessories needed to form a firepit, BBQ and coffee table. As shown in the photos, the beautiful design comes with 3 functions: 1. It can be used as a Firepit to provide a warm atmosphere during the autumn, winter or cool summer night. 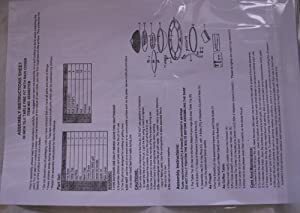 A safety mesh cover is included. 2. It can be used as a BBQ when you put the cooking grill on top. It is a must during summer season. 3. It can be used as a Coffee table by putting the beautiful 'star' designed cover on top. Imagine, in the morning you can enjoy your morning coffee in your garden beside this coffee table. In the afternoon, you put the 'star' cover on the bottom side of the table and put the grill mesh on top of the table, then you can use it for BBQ with your family or friends together. When the BBQ is finished, then take out the grill and put the safe mesh cover on and you can still use it to provide a warmer summer night to enjoy your beer in the garden. That's wonderful! This item can be used through the whole year and it also comes with a weatherproof and waterproof cover to protect it when it is not in use. Specifications: Diameter - 76cm Table height - 57cm Weight- 20kgs It comes with detailed assembling instruction and is very easy to fix.